What is Homecoming? 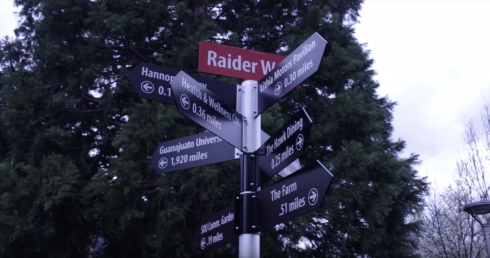 According to an email from the Director of Student Life Jennifer Fountain, “Homecoming is a time to celebrate what it means to be an SOU Raider by engaging in events that promote campus pride. 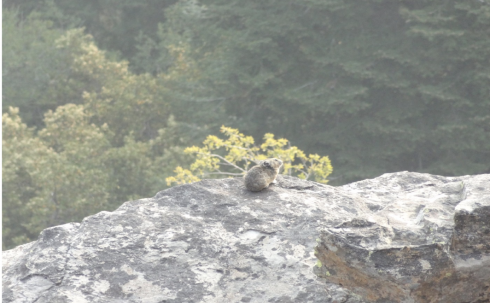 It’s also a time to ‘come home’ to see old friends and reminisce about fun times as an SOU student. Homecoming 2018 kicks off next Wednesday, Oct. 10 when SOU Raiders volleyball faces off against Oregon Institute of Technology in the Lithia Motors Pavilion at 7 p.m. followed immediately by intramural dodgeball in the Student Rec Center (SRC) at 9 p.m. The theme is the 80’s, so students can come with fingerless gloves, sweat bands and lots of denim. The fun events don’t stop there, though. 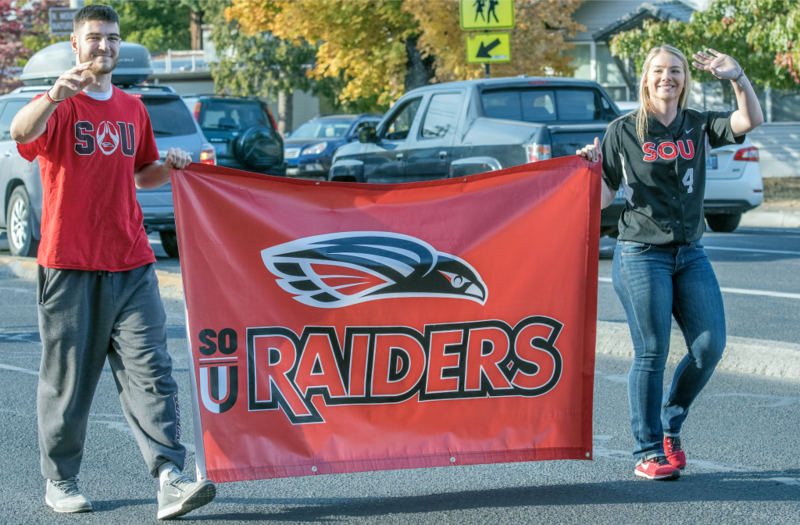 The annual Homecoming parade on Oct.11 from 3:30 to 5:30 p.m. will start its march at the Lithia Bandshell in Lithia Park and end at Raider Stadium. Students wanting to march in the parade are encouraged to register through Student Life. Student life suggests wearing red. At the end of the parade, participants can win prizes including a free tabletop display for any student club and gift cards to the bookstore. Following the parade is the Kid Fair from 5 p.m. to 7 p.m. It will have hotdogs, bubble soccer and games in the stadium area. Thursday night will close with an EPIC Movie Night from 7:30 p.m. to 10 p.m. courtesy of Ashland Street Cinemas. Friday will open with the annual President’s 5K Run from 2:30 p.m. to 4 p.m. Everyone wanting to participate will meet at the stadium and register there. Bring a non-perishable food item to benefit the Student Food Pantry and get a discount on registration. The Men’s Soccer team will play Northwest University at home at 4 p.m. During the soccer game, parents and alumni can meet President Schott in the Parent and Alumni Hospitality Area at 4:30 p.m.
Student Resource Center (SRC) is hosting an open house from 3 p.m. to 7 p.m. in the SU. This is an opportunity for Raiders to learn what benefits are available across campus to support each of us. These will include the Multicultural Resource Center, Student Government, Queer Resource Center, Veterans Resource Center and more. Saturday’s send off is the biggest day of Homecoming, and it all starts with tailgating from 9 a.m. to 11:30 a.m., leading into the football game at noon. This year SOU faces off against Eastern Oregon. Then, at 5 p.m. SOU soccer will play Evergreen state at home. Finally, the Homecoming Dance hosted by EPIC in the Lithia Motors Pavilion will go from 9 p.m. to 11 p.m.
Each of these individual events can be added to your Google Calendar here. Here’s to a new and exciting year at SOU! Welcome Home and GO RAIDERS! !